From the Renaissance to you. Based on a design by the Renaissance era French Engraver-Jeweler Pierre Woeiriot the Green Man Ring is a true jewel of the Renaissance. Pierre Woeiriot worked at the Court of Fontainebleau in the last half of the sixteenth century. Fontainebleau in the age of King Francois and later during the reigns of King Henri and Queen Catherine (de Medici) was a center of art, culture, and wealth. In his youth, Pierre may have worked under the great Benevenuto Cellini before going on to create his own classically inspired masterpieces. Like Cellini, Pierre combined the art of the engraver with that of the jeweler. 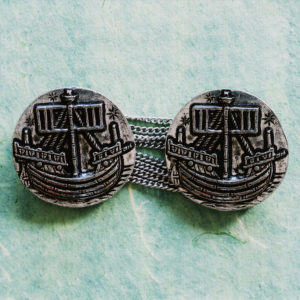 He specialized in creating miniature sculptures in gold and other precious materials and published several folios of his engraved designs for pendants, earrings, and finger rings. These folios served as pattern books which tempted noble patrons and inspired other jewelers. 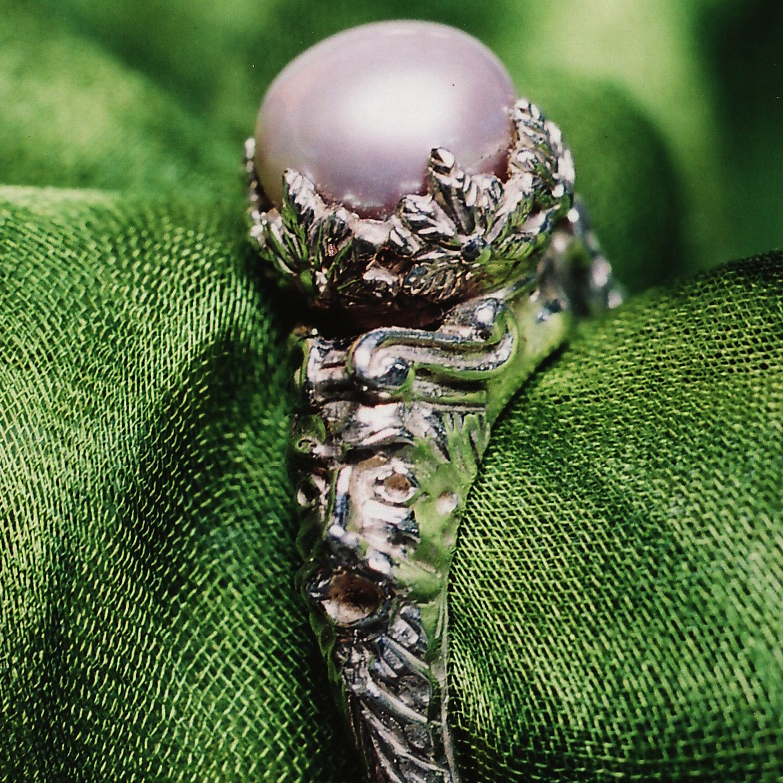 Due to the value of the raw materials used to create Pierre’s mini-masterworks, few of his original jewels survive. 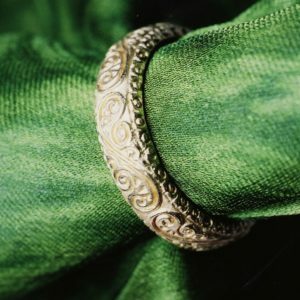 Thanks to the pattern books we have been able to recreate a true renaissance GreenMan Ring. 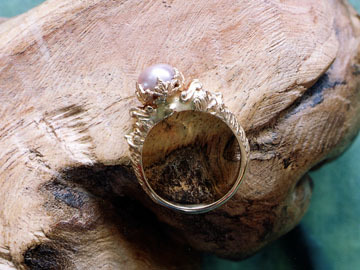 The ring features two foliated faces or ‘masques’ that flank a setting made in the form of a continuous ring of tiny oak leaves. 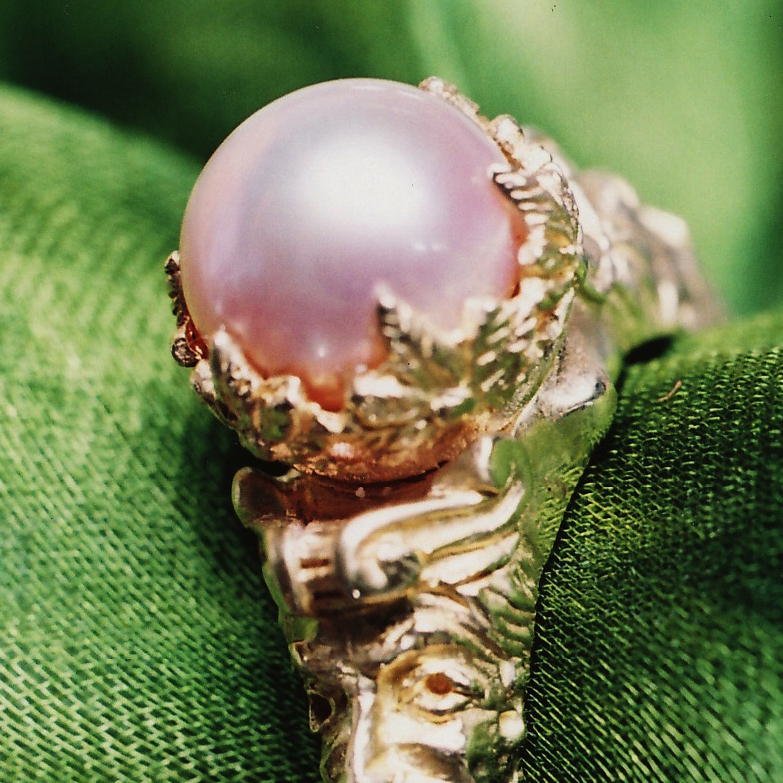 Our ring is made to order in 14k yellow, white or rose gold and may be set with a naturally colored half pearl or cabochon gem. 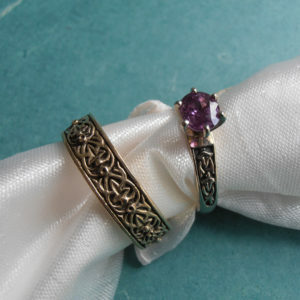 [There is a slight surcharge for rings larger than size 10. Prices for the ring set with something other than a half pearl may vary. All prices subject to change due to fluctuating gold markets. For current price information, or information about sizing and ordering please contact us.